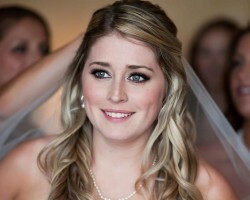 There is so much more that you get from About Faces than simple wedding hair and makeup. This spa is able to provide full treatments for brides-to-be so they can absolutely look their best for the biggest day of their lives. From skin care to specialized bridal packages you will find exactly what you want at this service. While this salon is one of the best in Maryland they also strive to keep their prices as affordable as possible and therefore available to even more future brides. Why settle for a single professional when you can have a pair of Baltimore makeup artists to work with? Tori Harris and Cara Gibson make up the talented team at Blush and they absolutely love what they do. This is not only clear in their portfolio but they have a long list of reviews filled with praise from brides they have worked with in the past. The real benefit to working with this duo is that their techniques mean they provide seemingly permanent makeup that will guarantee your look stays flawless all day and night. Whether you are looking for a professional to come to you at home or for you to visit a luxurious salon then the Phillip Michael Studio Bridal is the perfect place for you. These stylists have been serving brides in Baltimore for over a decade and have a reputation for being skilled as well as incredibly friendly. They have achieved this by only ever focusing on the needs of their clients and listening to exactly what they want from the entire experience. One of the best aspects of preparing for wedding day is getting ready with all of your closest friends. This process can be even more enhanced when you have a professional makeup artist in Baltimore, MD from Behind The Veil come to help you achieve that perfect look without any stress. These experts travel directly to you and are able to provide their services for your entire bridal party. This means that you will not only look amazing but you can sit back and relax on your big day. 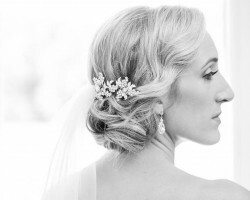 If you are not particularly worried about your bridal makeup but really want to focus on having perfectly styled hair then Jamie Halcott, of Baltimore Bridal Hair, LLC, is the only option for you. She focuses on providing brides with the best hairstyle to suit her dress, color scheme and personality. You will be able to discuss with Jamie exactly what you are looking for and receive some great tips about all of the latest trends and techniques in the bridal hair industry.